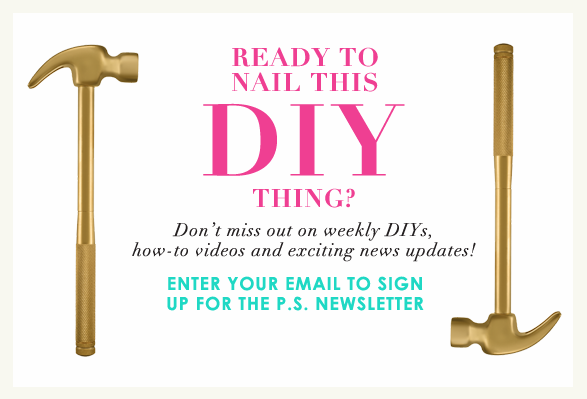 Stepping away from Instagram, Snapchat, and even your inbox that seems like you’re never going to catch up on all your emails is necessary. Some days we feel like we can’t even remember life before all of those digital distractions, but I swear it existed. Pause on the digital life and focus on your actual life. The idea of being present, rolling up your sleeves, and creating something that will be apart of your everyday IRL life that brings you joy is one of the most important lessons I have learned. So, in the spirit of DIY, I decided to create a space in my backyard where I could plant myself and enjoy the beautiful outdoors year round! 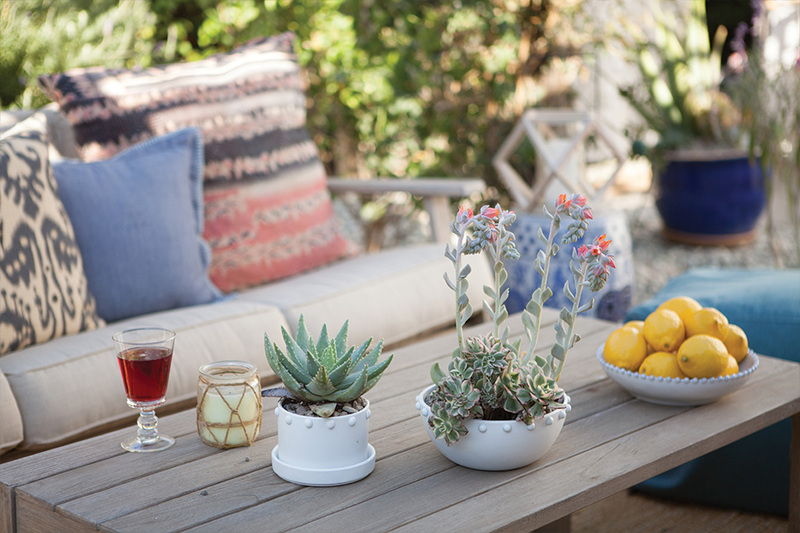 Indoor/outdoor living has allowed me to find a kind of happiness where checking out to check in is as peaceful as it is beautiful. 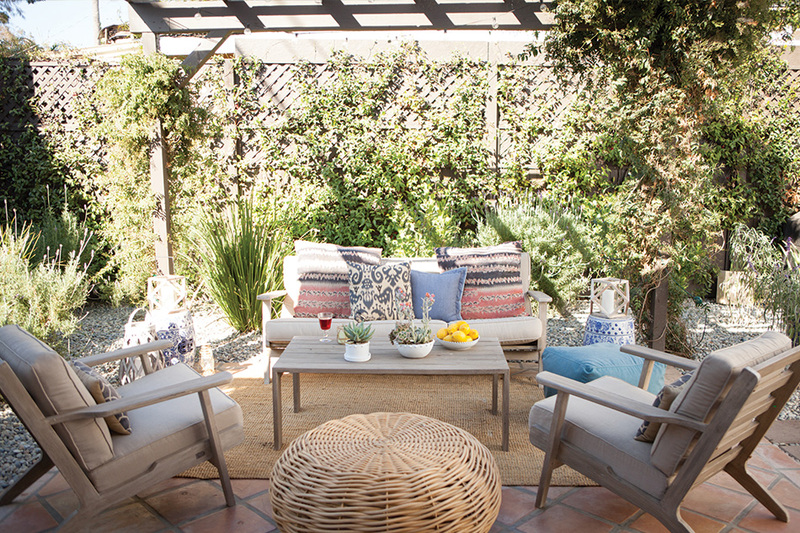 Watch this episode of Erica in the House where I break down the 5 essential steps for creating an outdoor oasis. Yep- it’s that easy! Having furniture as your anchor the space is necessary. I went with this 4-piece Dover teak seating set because teak wears the best out of any outdoor furniture and even gets better with age. 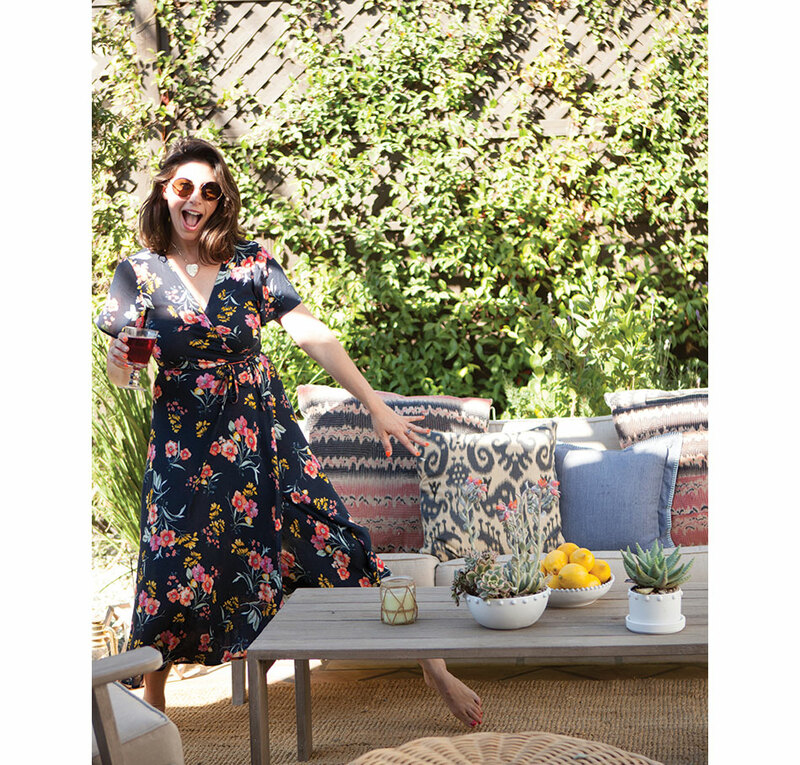 PS- It’s also so comfortable, where would I be without Wayfair?! 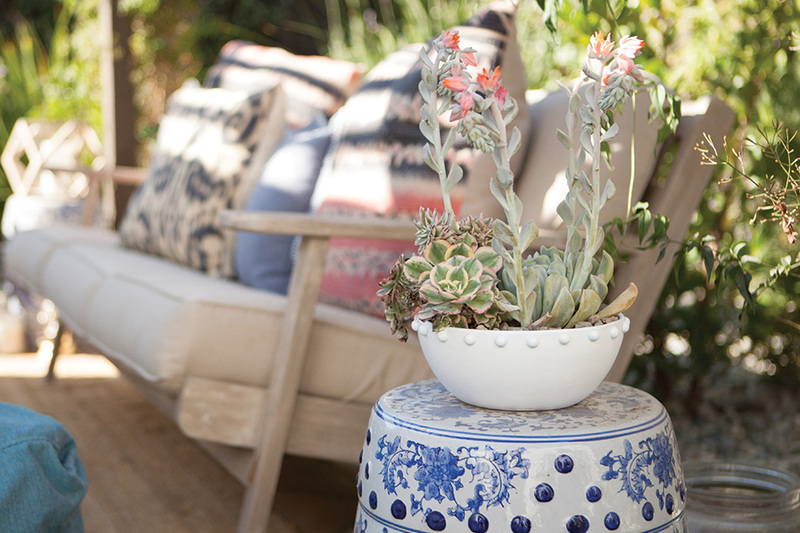 After finding the perfect furniture, accessorizing the space with pops of colors, pillows and plants was next. P.S.- You will need soil, plants, & potting gravel as well! 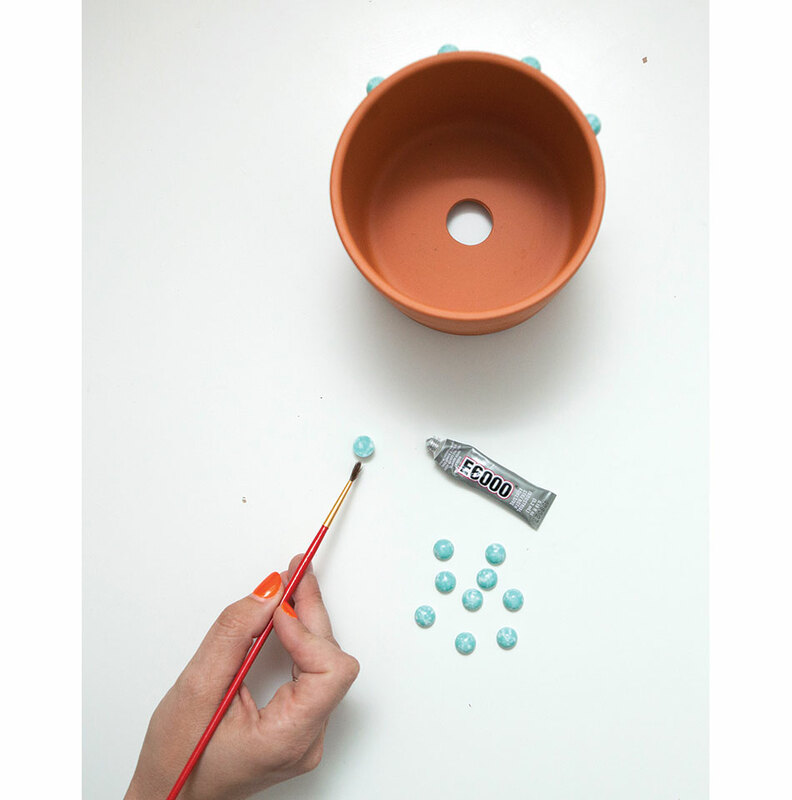 Use a small amount of E600 glue to adhere your cabochons to the planter using a small paintbrush. 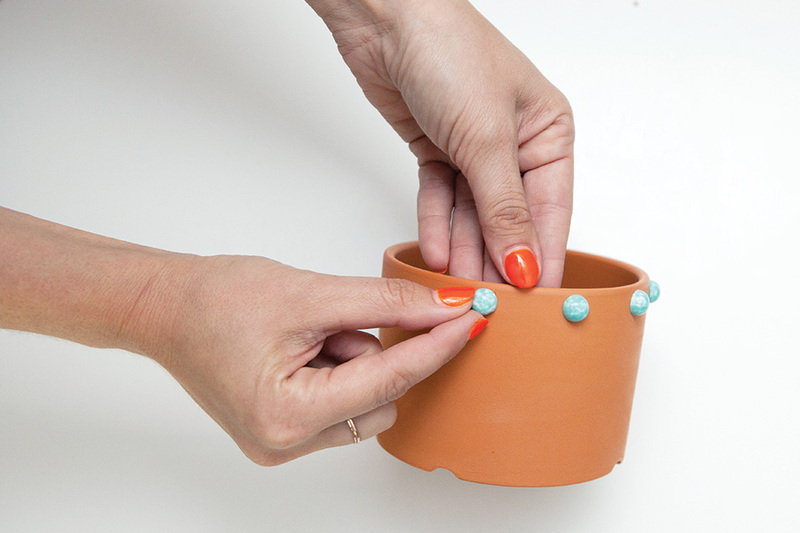 Carefully place each individual embellishment onto the pot, spacing out evenly as you go. Hold in place for a few seconds to make sure it stays in place. Wait about 30 minutes until the glue is dry before spraying. 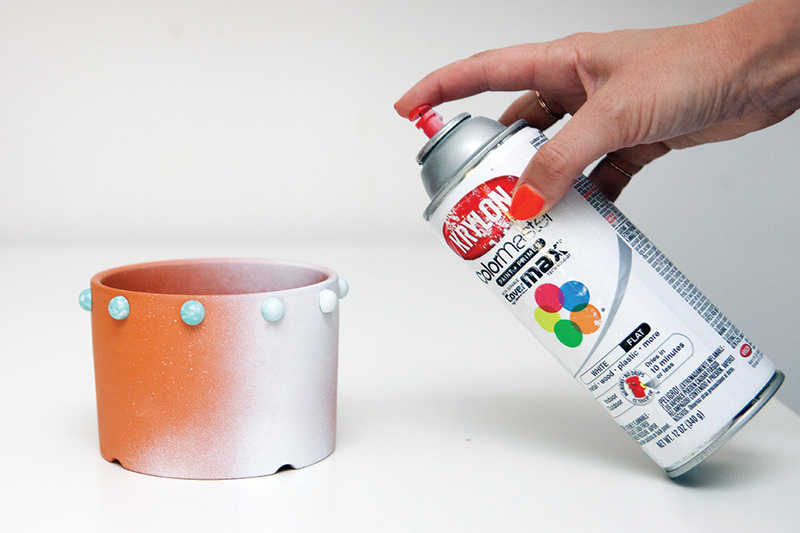 Be sure you spray two even coats to cover entire surface. 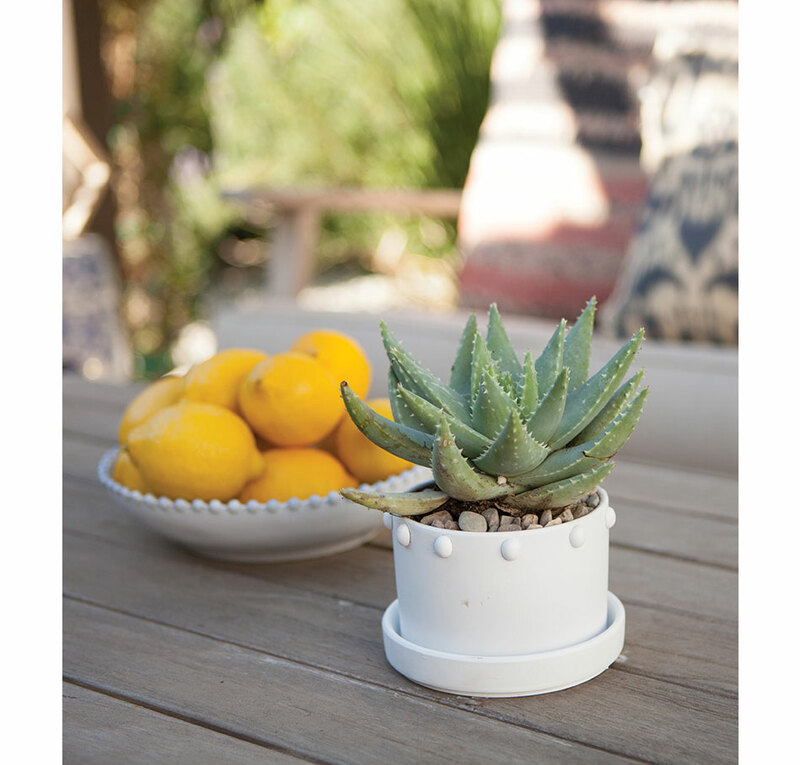 After planter is completely dry, add soil and your favorite plants (currently really feeling all sorts of succulents, including this baby aloe right here!) For a more finished look, add tiny pebbles on top, also known as potting gravel. Wherever you place them, they look fantastic! They also work indoors too. P.S.- Can you tell how much I love being out here? Oh, and did I mention when the lights go down, it’s crazy romantic with twinkly lights that hang from the pergola.